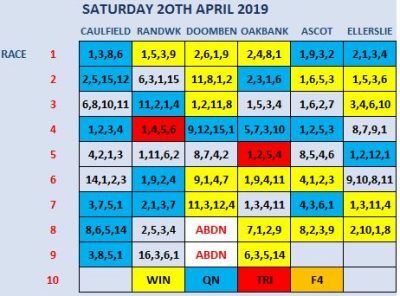 This is about the time we should look at the excuses you are likely going to make for why you will do something or not do something to make your punting successful. Punters are the best people at making an excuse why they will or won’t back a horse. They will buy a beer but won’t buy good information. Everyone uses excuses. Most punters actually have a lot of favourites they use over and over. I’m sure you have yours starting to emerge by now. An “excuse” is a justification for doing, or not doing something. The dictionary implies that it’s a “reason”. The excuse you were late for work is due to the traffic, but, the real reason is you did not give yourself enough time when you left home. Excuses are never the reason for why you did or didn’t do something. They’re just the facts you use to make up in order to help yourself feel better about what happened or didn’t happen. Making excuses won’t change the situation, only getting to the real reason behind it can do this. That’s the difference being a Gambler or Punter. 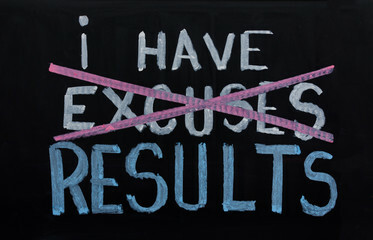 Excuses are for people that will not take responsibility for their actions and life and how it turns out. Victim’s in the punting world make excuses why they lose and 97% do. Excuses will never improve your punting. I don’t have the money, I am over worked and tired, I don’t have time to study the form, I couldn’t get my bet on, the price wasn’t right, the tip wasn’t any good, the people I punt with are losers, they forgot to tell me about that horse…… etc. etc. Bored yet? I know I am! I had to reach deep to come up with some of those excuses. How many have you used? Now ask yourself if any of these excuses ever improved your punting skill? I doubt it. So why do people make them so often? Nothing about them will move you to a better situation. The fact that you “only have bad luck” is not going to improve your punting. If you tell yourself that long enough you will start to expect it. Things will continue to be bad. True punters understand the difference between making excuses and providing actual, sound reasons for successful events. Successful punters don’t make excuses they either do the work or don’t punt, or find someone to give them a solution. Successful punters see all the situations, problems and opportunities. Successful punters problems are solved by using good software, services and customer help lines to be financially successful. Most good punters never use excuses for anything.